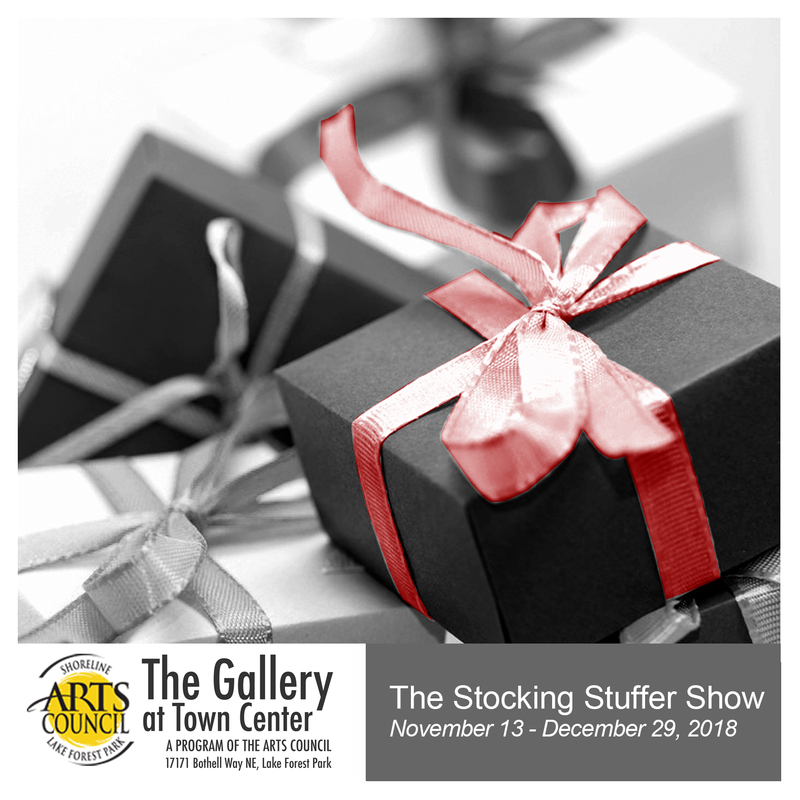 Shop local this holiday season and support your local arts organization at the same time! The Gallery at Town Center has a large selection of handmade art items by Pacific Northwest artists, including jewelry, ceramics, glass, fiber, and wood. We are always on the lookout for new and interesting inventory. Stop by and discover our most recent finds. On the walls will be 12”x12” (or smaller) paintings, mixed media, prints, and photography – the perfect gift size. Plus, boxes and bags are available for most small items helping to make your gift-wrapping a snap. While at the gallery, you can sign up to become a member of the Shoreline-Lake Forest Park Arts Council and save 10% on all of your gallery purchases throughout the year!